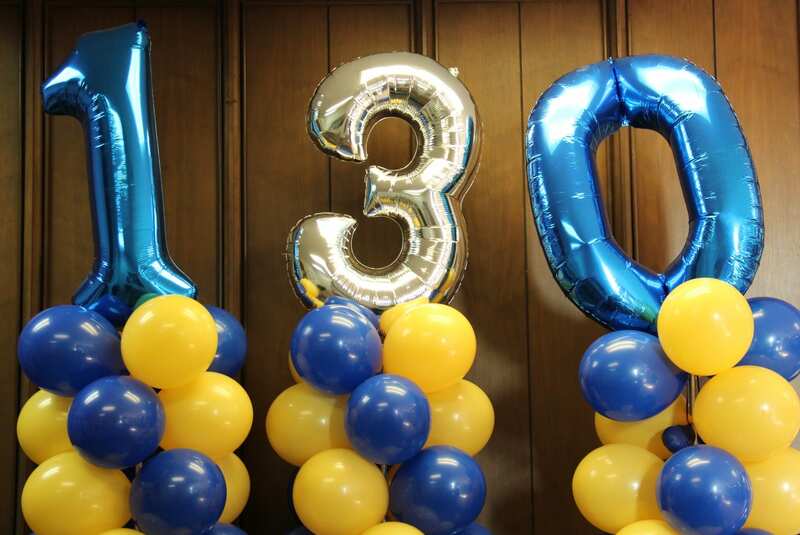 This week St. Mary’s Academy celebrated our 130th founding anniversary. St. Mary’s Academy was founded in 1889 by the Sisters of St. Joseph of Carondelet as a private high school for young women. It is the oldest continuously operating Catholic high school in the Archdiocese of Los Angeles. The six sisters who founded St. Mary’s established a tradition of academic excellence, sisterhood and service to the “dear neighbor.” Our founders, the Sisters of St. Joseph of Carondelet, continue to show us what it means to serve the dear neighbor and respond to the needs of the times. Our faculty and staff started off the second semester with a retreat at Mount Saint Mary’s University‘s CSJ Institute, where we learned more about the history of our founders and reflected on how we can continue carrying on their mission. In an effort to preserve their history, lift up their achievements and inspire the future, the The CSJ Institute at Mount Saint Mary’s University is capturing the spirit and contributions of our sisters on film. Some of the videos have been shared in a previous blog post. The videos below have been produced since we last shared the series. We hope you enjoy learning more about our founders and are as inspired by them as we are! 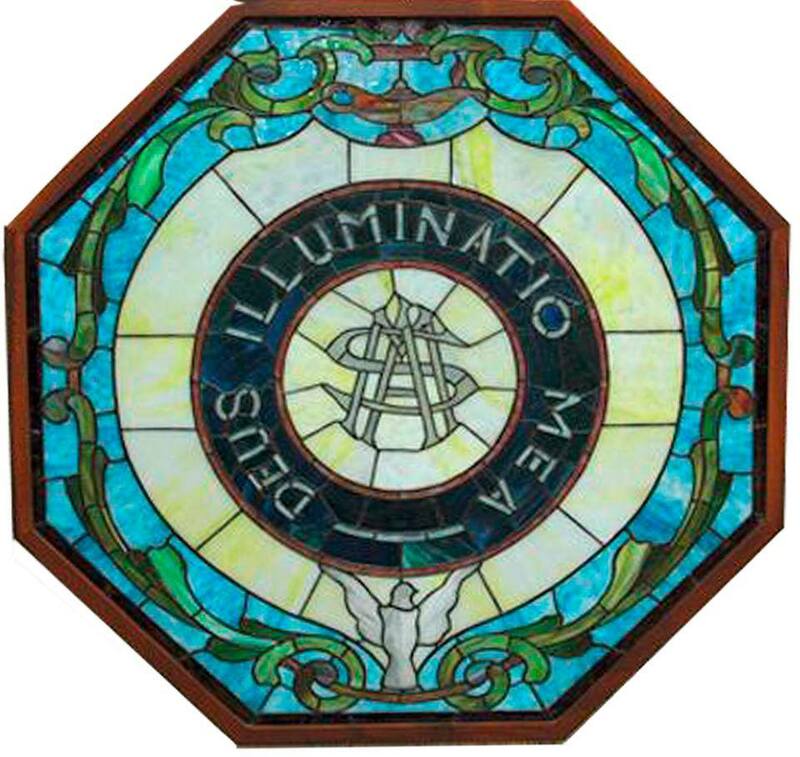 Learn more about the founding of St. Mary’s Academy here. Mount Saint Mary’s University has interviewed 55 of our Sisters of St. Joseph of Carondelet (CSJ). This video introduces our CSJ Oral History Project and how it is giving us momentum to advance the CSJ commitment to serve all persons without distinction, respond to the needs of the times and prepare fearless visionaries for a just future. What draws someone into a life dedicated to service? 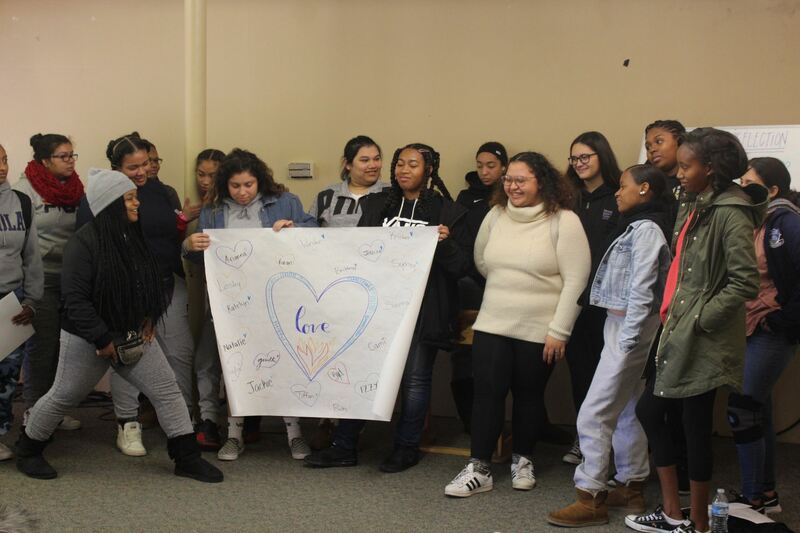 Sisters of St. Joseph of Carondelet share what inspired them, and describe how they saw religious life as a way to make the greatest difference in the lives of others. 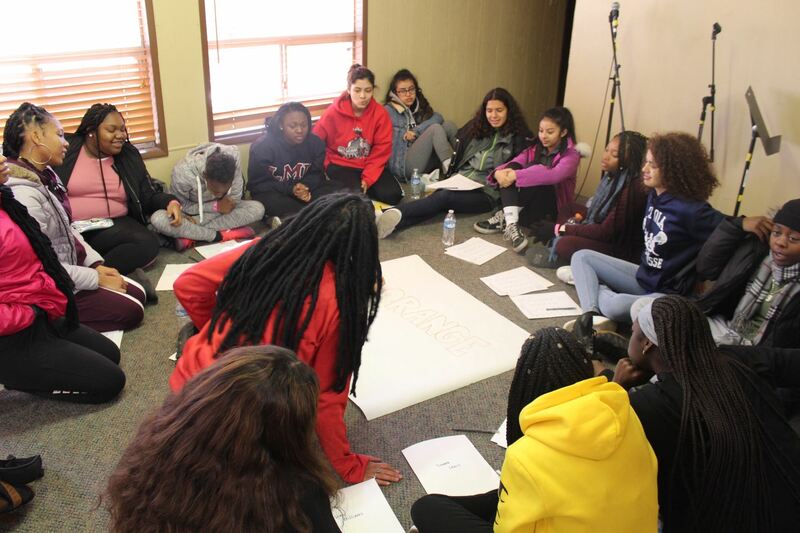 “We’re here for a purpose.” Sisters of St. Joseph of Carondelet reflect on the power and responsibility of leadership, and how they strive to use their leadership skills to lift others up. Ever wanted to ask a sister for advice? Listen up! This video features words of wisdom from some of the Sisters of St. Joseph of Carondelet in Los Angeles. Advice like: Try something new. Make mistakes. Be a good listener. And whatever you do, stay active. Sister Clare Dunn, CSJ, was the first and only Sister of St. Joseph of Carondelet to serve in elective office. She served in the Arizona state legislature, assisted by Sister Judy Lovchik. Learn more about how they advocated on behalf of those in need, and served the dear neighbor in public office. Each year, Mount Saint Mary’s University offers a number of faculty, staff, alums and partners the chance to travel to Le Puy, France, where the Sisters of St. Joseph first formed in 1650. 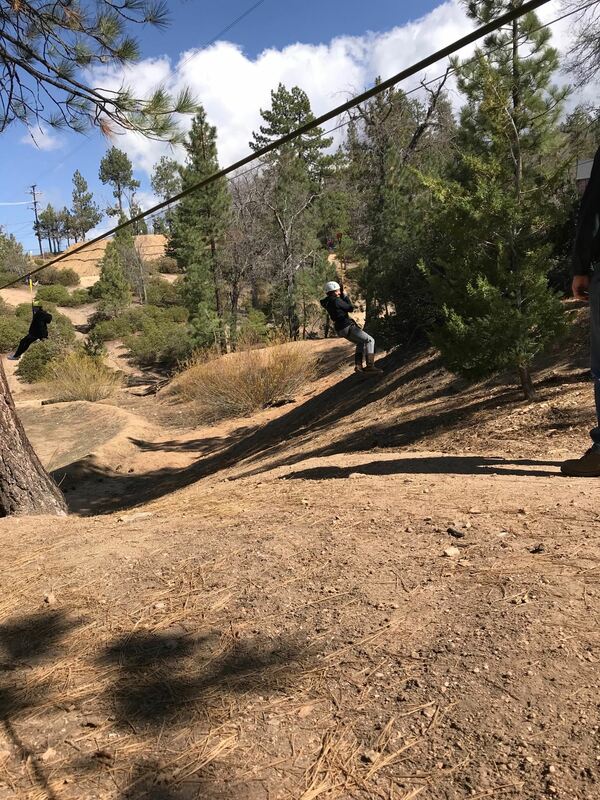 The pilgrimage enables participants to journey alongside CSJ sisters from Los Angeles, learn from CSJ sisters based in France, and take home new inspiration for their work here at the Mount. 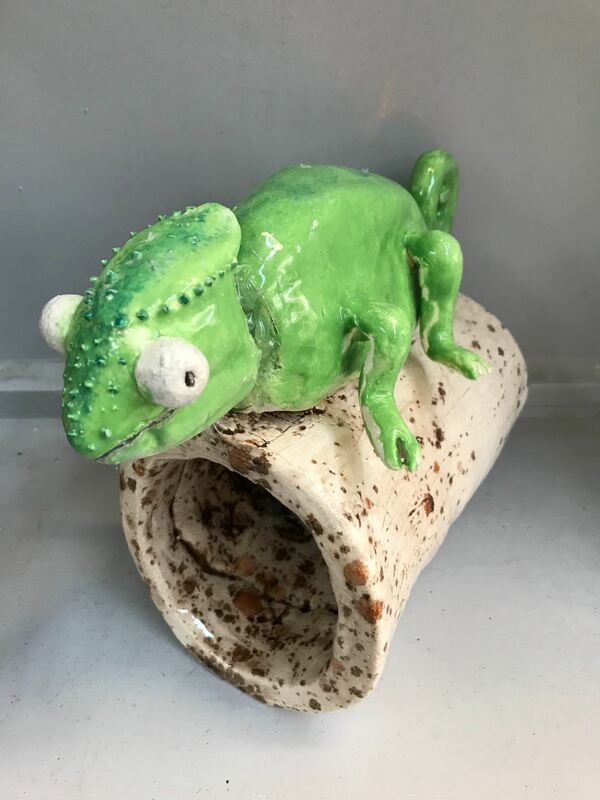 Sister Mary McKay, CSJ, shares a story about a serendipitous encounter with another Mount Saint Mary’s alumna — one she taught at the Mount 26 years before. What’s new in the neighborhood surrounding St. Mary’s Academy? Everything! 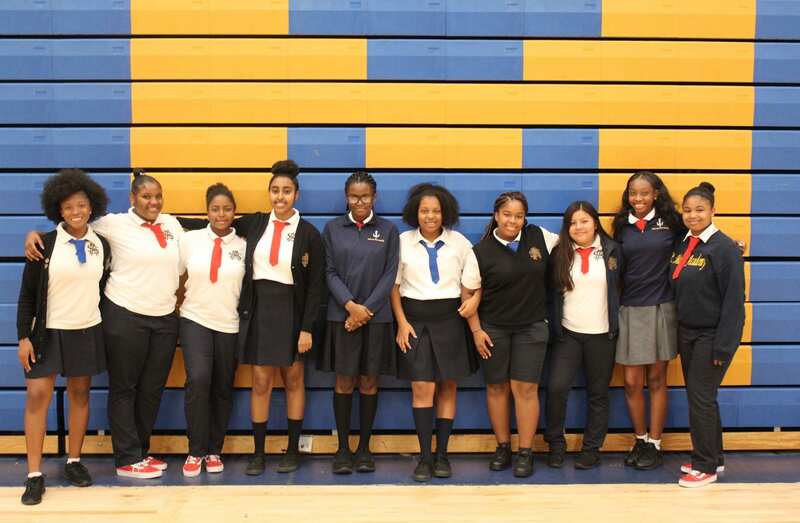 St. Mary’s Academy is sitting right in the middle of new growth and development, a renaissance in the city of Inglewood. A mile to the south of the school is the active 298 acre construction site of what is to be the new Los Angeles Stadium & Entertainment District at Hollywood Park. Once completed, the complex will house a 70,000 seat open-air stadium that the LA Rams and the LA Chargers will call home. The site will also include a performance venue, a retail village, restaurants, offices, a hotel and private residences, all situated in a park like setting. The LA stadium is scheduled to open in 2020 and will be a venue for several sporting and social events, including the 2022 Super Bowl and 2028 Olympic events and competitions. Directly across the southern border of the Entertainment District, a new basketball arena is on the horizon. The LA Clippers Professional Basketball Organization is in discussion to build a new, privately funded, 18,000 seat arena and plaza, with plans to open by 2024, when the Clippers’ current lease with Staples Center expires. A block north of the school, the Metro Crenshaw /LAX Line is being built. The 8.5 miles metro line will serve the cities of Los Angeles, El Segundo, and Inglewood. The line will include eight stations, four being located in Inglewood, with one situated close to the school. Students will have a new mode of transportation to and from campus and other educational events, once the line is up and running in the next couple of years. The line will also link passengers to LAX by way of a new people mover. Less than a mile to the west of the school, Frank Gehry, the world renown architect, is designing the conversion of an old bank building into the home of the new LA Philharmonic Youth Orchestra. The new space will be called the Judith and Thomas L. Beckman YOLA Center at Inglewood and will provide free music education to the students of the Inglewood area. YOLA Center will accommodate a performance space, studios, a music library, instrument storage, and rehearsal space. 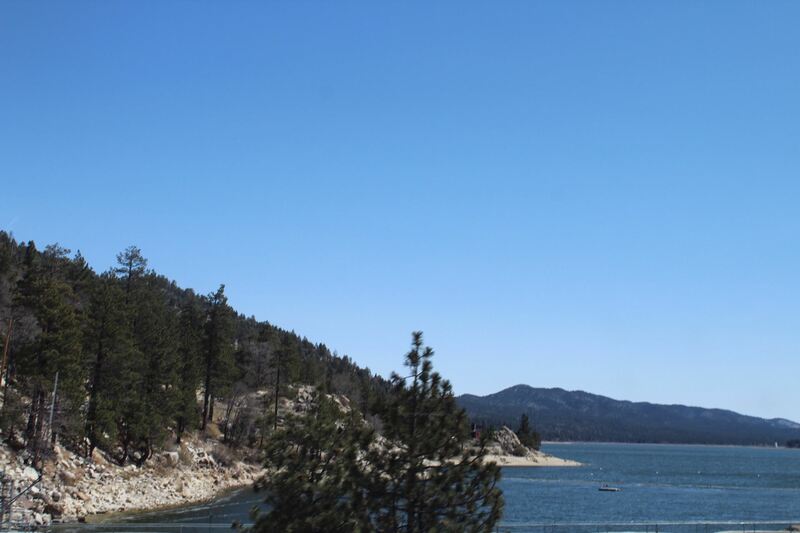 The project was recently revealed at the unveiling of the design, and construction is slated to begin over the next several months, with completion in two years. Across the street from the school, on the site of the former Daniel Freeman Memorial Hospital, is the construction of Grace Park. 228 Townhouses and condominiums, and a recreation center are in the early stages of construction, with the first phase of the project to be completed by 2020. The renaissance brings with it student learning opportunities and engagement, new neighbors and partnerships, updated transportation infrastructure, housing, work, and entertainment possibilities, along with a fresh look and vitality to our community just as the school is celebrating its 130 years of educating young women. 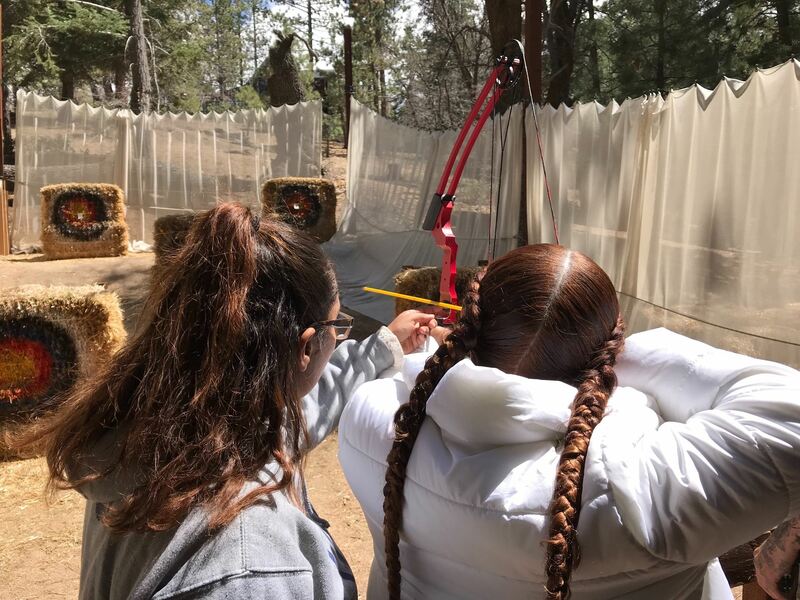 Not content to rest on their laurels, many of our Belles were busy with a wide array of camps, programs, and volunteering across the country this summer. 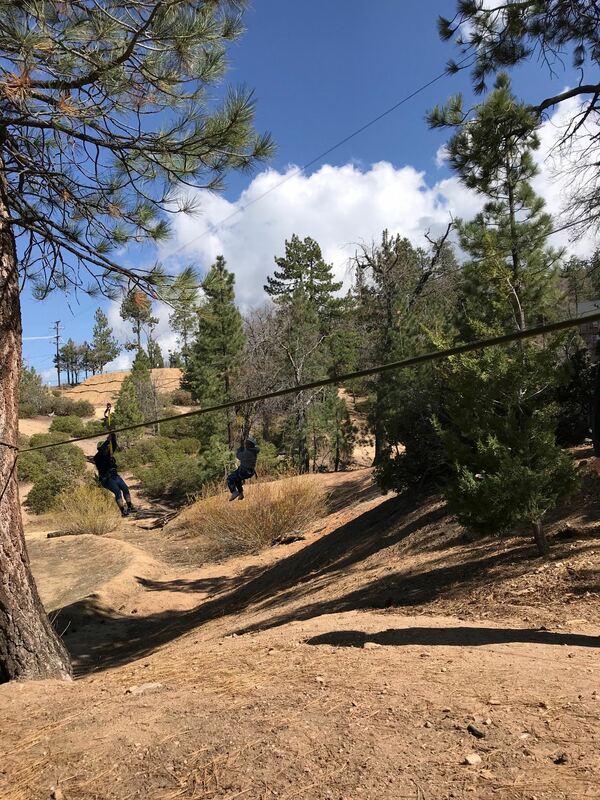 Over 50 students used their time away from campus to broaden their horizons, make new friends, and enrich their SMA experience. 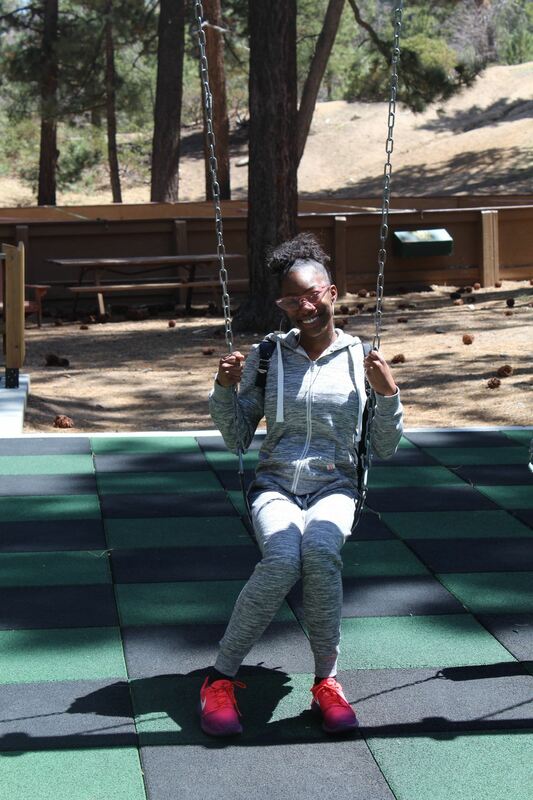 Locally, students participated in programs like Camp Children’s Hospital Los Angeles (CHLA), USC’s Diversity in Health Care Leadership summer enrichment program, Camp Neuro at USC, Cinemagic film making, Charles R. Drew University Science Day, Design Immersion Days at Southern California Institute of Architecture, work experience at Payden & Rygel, the Envision Medical Program at UCLA, Sports Medicine Camp at Mira Costa High School, shadowing at MLK Hospital, and volunteering at hospitals like Providence Little Company of Mary, Cedars Sinai, Ronald Regan Hospital, Kaiser Permanente West L.A., and St. Francis Medical Center in Lynwood. 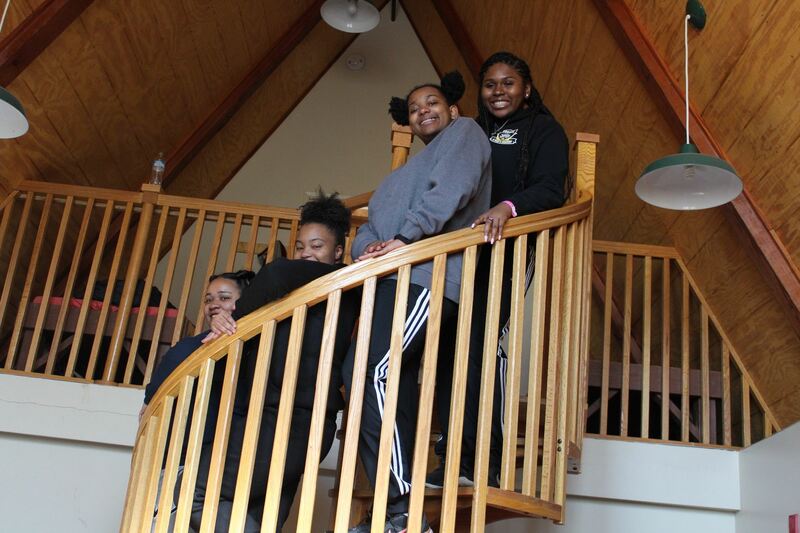 SMA student athletes honed their skills in camps for soccer, Indoor, and Beach Volleyball, and several of our basketball players traveled to Kentucky, Georgia, and Arizona for tournaments. 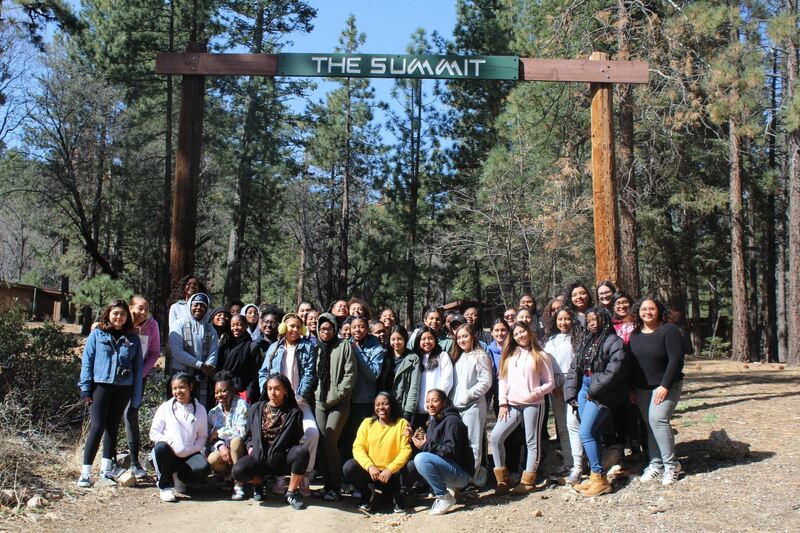 Girls in the Economics for Leadership program got a chance to participate in workshops and classes within the program on the following university campuses: UC Santa Barbara, Oberlin College, UC Berkeley, UCLA, Washington University, Brown University, Rice University, and University of Washington. 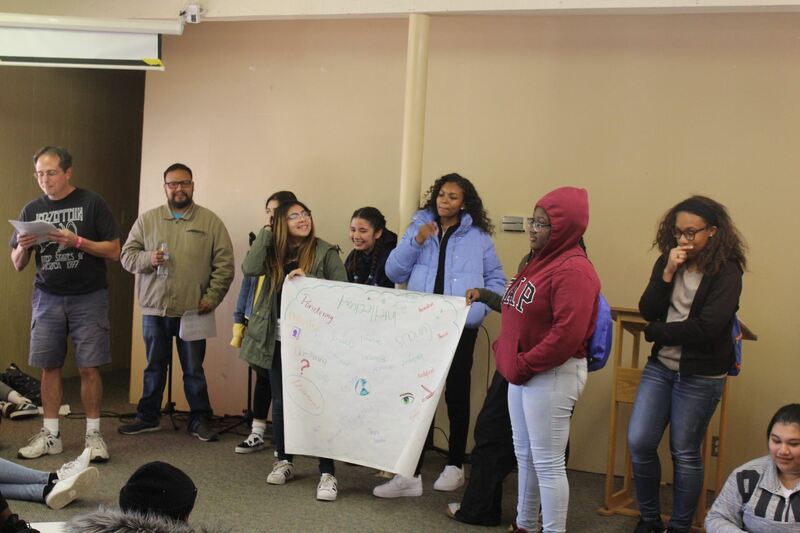 Other programs our Belles joined include National Youth Leader Forum: Medicine at UC Berkeley, Cal Poly San Luis Obispo’s Engineering Possibilities in College, Just the Beginning Law Program at Loyola Marymount University, the University of Colorado Denver’s CAP ACE summer camp, Create Summer at Sacramento State University, Black Girls Lead at Columbia University, and even volunteering at clinic in Guadalajara, Mexico. And these are just the Belles that shared information! Keep it up Belles!!!!!! 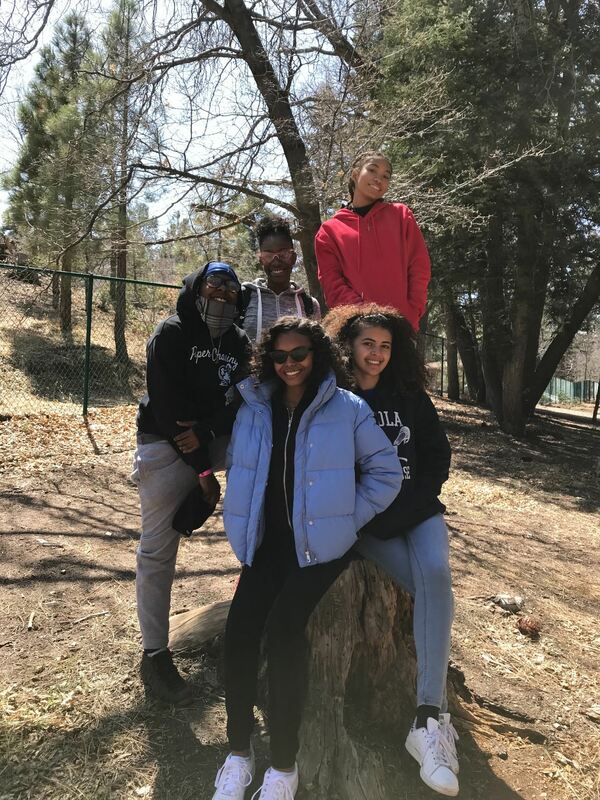 Meet SMA Onward Scholars Cohort 1! 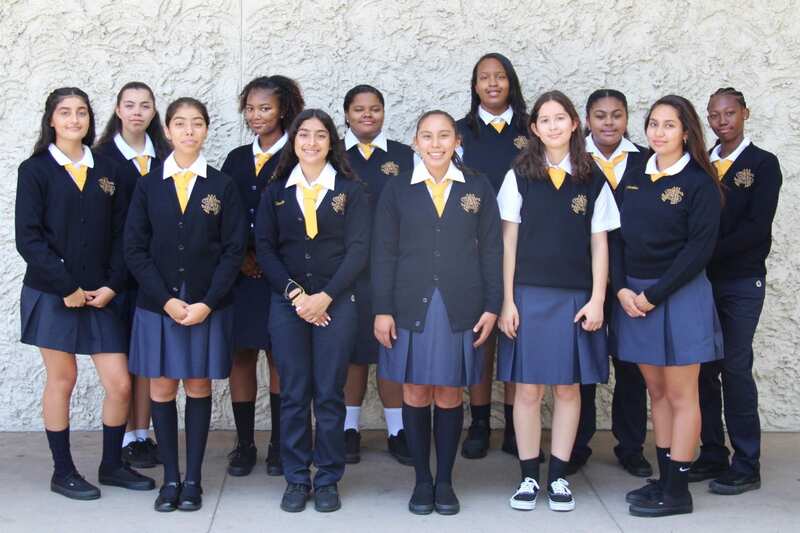 St. Mary’s Academy is excited to announce that, through the generosity of The John H. and Cynthia Lee Smet Foundation, 12 Belles from the Class of 2022 make up the first cohort of Onward Scholars at SMA! 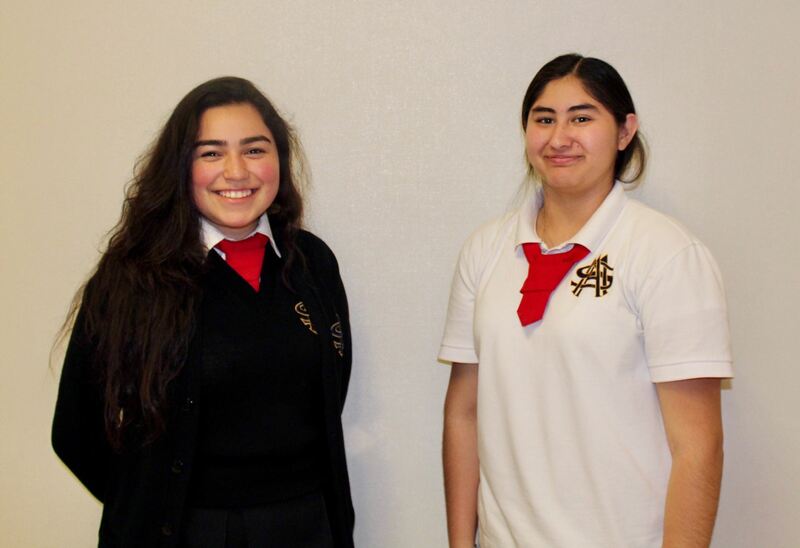 The Smet Foundation provides a four-year scholarship for 75% of each Onward Scholar’s tuition costs in addition to a personal stipend of $2,000 to use over her time at SMA. 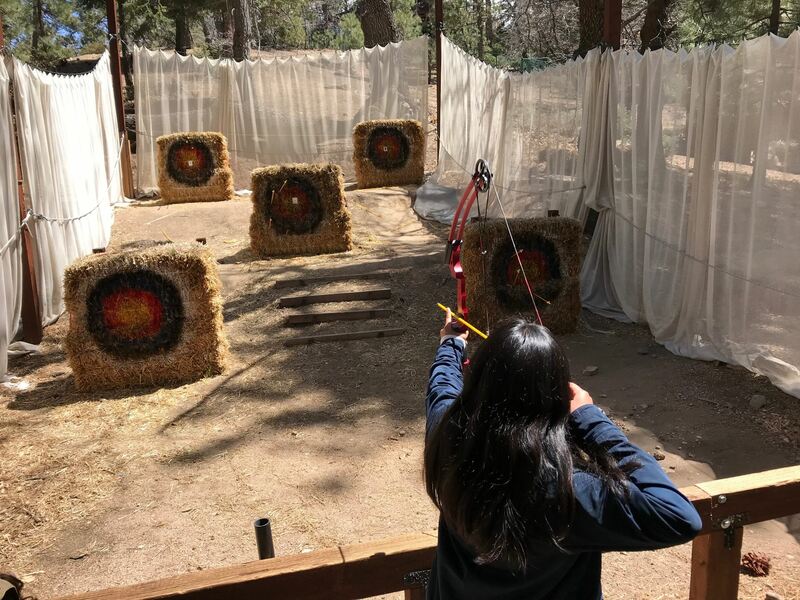 The stipend offsets the cost of activities in line with the mission of Onward Scholars such as summer pre-college programs or off-campus cultural experiences. 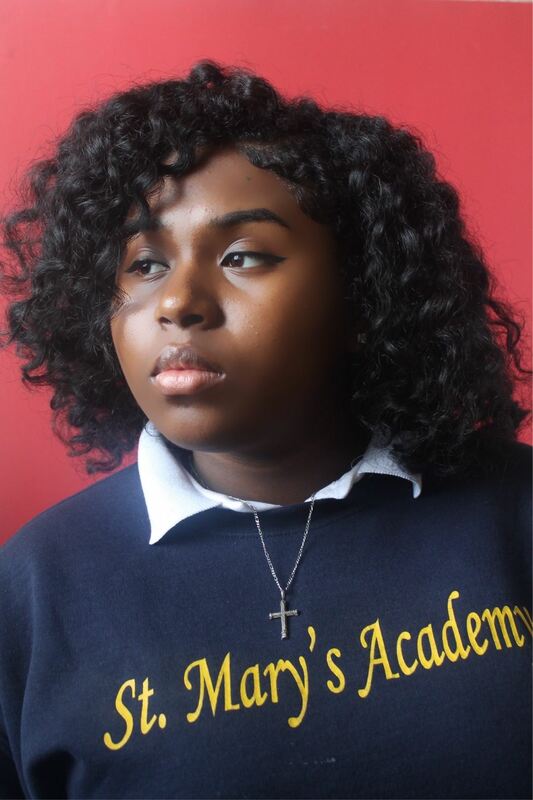 Onward Scholars at St. Mary’s Academy receive not only the support services the school provides, but also work closely with the onsite Onward Scholars Program Director to receive mentoring and access to programs that prepare students for the college application and matriculation process. 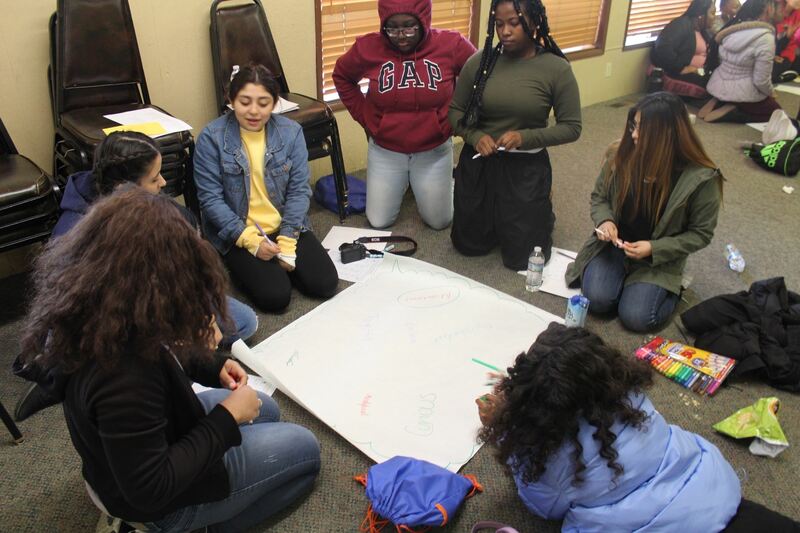 Monthly OSP-sponsored workshops focus on life skill development and topics of significance in the advancement of young women in today’s world. What has Cohort I been up to since they joined the SMA family last March? Read the inaugural edition of the Onward Outlook below! 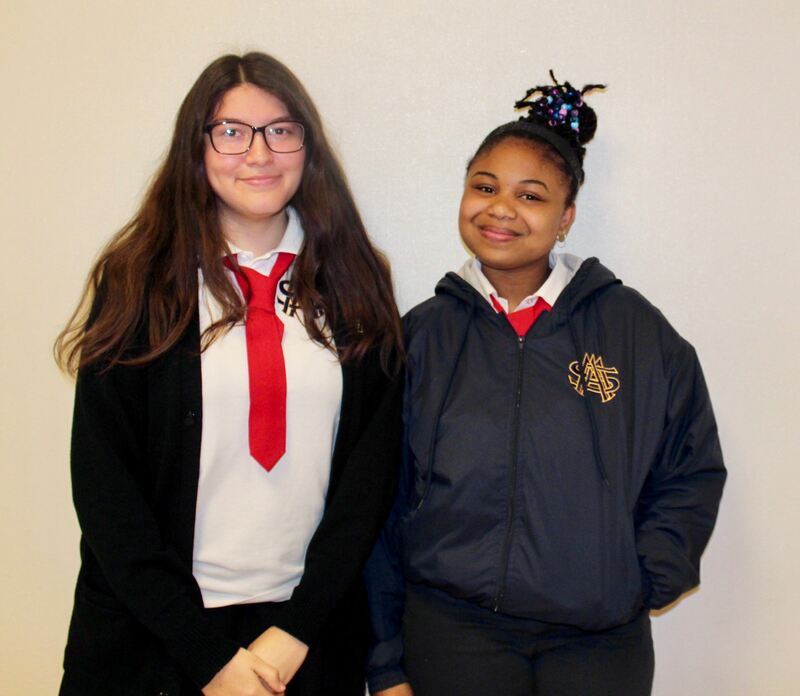 We look forward to the continued growth of Onward Scholars at SMA-Cohort II will be selected in March 2019 from the Red Tie Class of 2023! 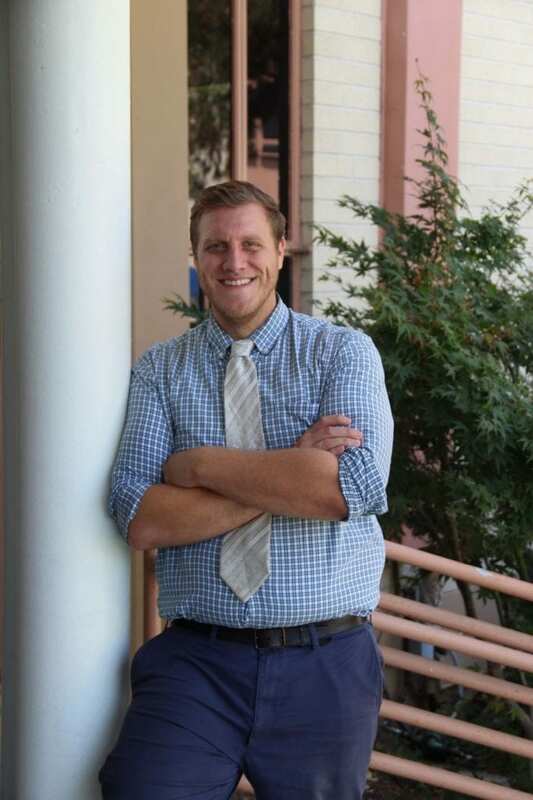 Our new Vice Principal, Kris Anderson, is joining us from St. Monica Catholic High School where he spent four years as Dean of Students and Social Studies Department Chair. 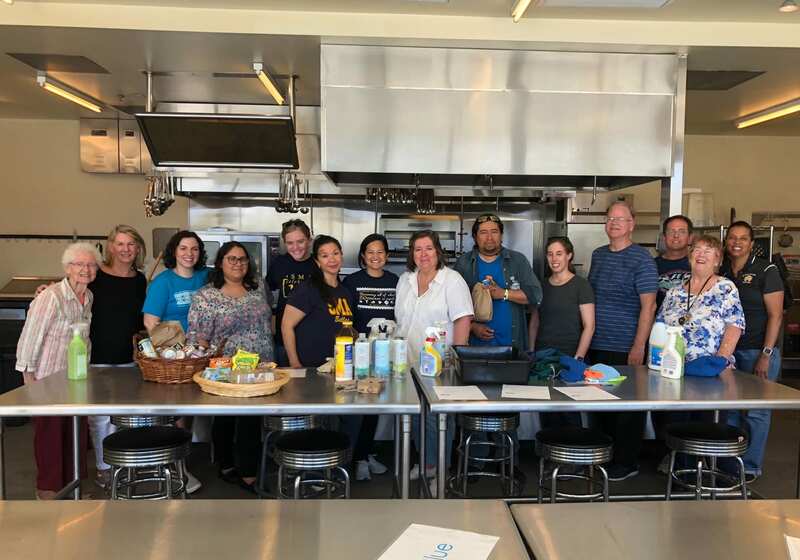 While at St. Monica, Kris served on the Administrative Council working closely with other curricular and co-curricular directors to shape the vision of the school. Prior to this, Kris worked at three different Catholic high schools as a Social Studies teacher, student moderator, and coach. Kris received his master’s degree from Loyola Marymount University in Catholic School Administration and is currently working on completing a doctorate degree in Educational Leadership for Social Justice from LMU. Kris’s favorite pastime is exploring new neighborhoods and restaurants in the Los Angeles area. Jeanette Bray begins her first year at SMA as Academic Counselor. Jeanette graduated with her AA in Liberal Arts from Mount Saint Mary’s University-Los Angeles, B.S in Human Services, and graduated with her Master of Science degree in Marriage, Family, and Child Therapy from University of Phoenix and is currently working on obtaining a PPS credential from Alliant International University. 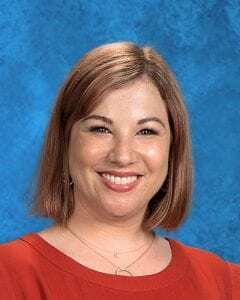 Prior, to coming to SMA Ms. Bray worked as an Associate Marriage and Family Therapist providing individual and group therapy to adolescents and elementary school aged children. 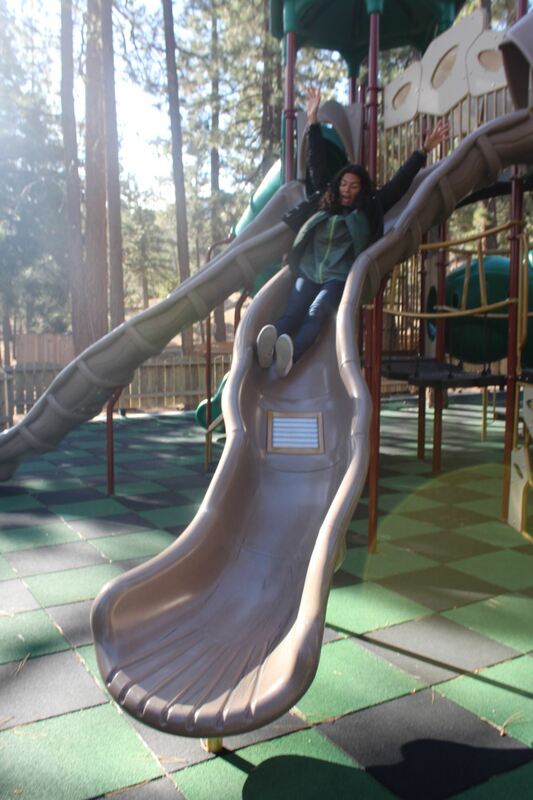 Jeanette’s favorite pastimes include going to Disneyland, cooking, and spending time with family. 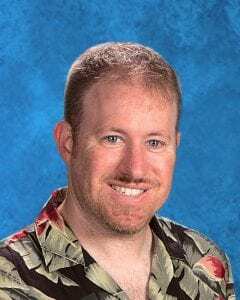 Chris Buckley begins his first year at SMA teaching Chemistry and Physics. He will also be working with freshmen students in their Math support block. Chris comes to St. Mary’s from Rolling Hills Prep and Renaissance School. Chris graduated from the University of Miami in Florida and is excited to get to work with his new colleagues. Stephanie Gordon is our new Director of the Health a Careers Path Program. 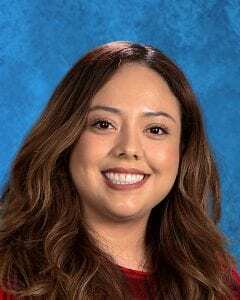 She is joining SMA from Junipero Serra High School in Gardena where she spent the last five years as a PLTW biomedical science teacher, Science Department chairperson, and STEM Coordinator. 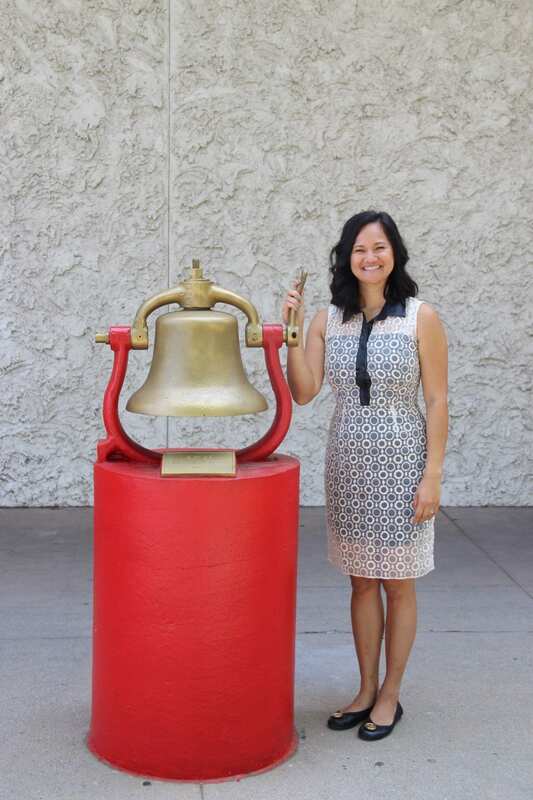 Prior to her time at Serra, Stephanie was a science teacher at St. Lucy’s Priory High School in Glendora for four years. Stephanie received her master’s degree from Loyola Marymount University in Secondary Education. 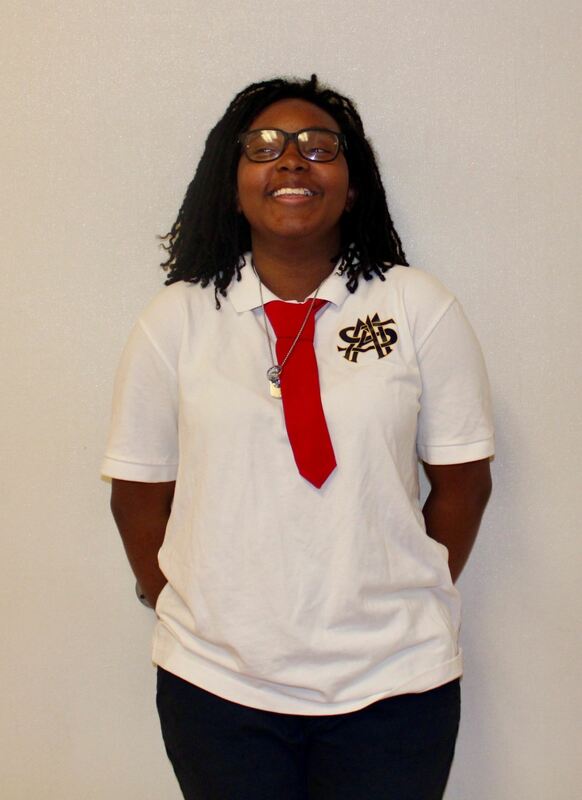 With a research background in neuroscience and at the USDA, she is looking forward to bringing rigorous and engaging biomedical science curriculum to SMA. Stephanie loves traveling abroad, visiting national parks, gardening, cooking, watching Kings hockey, and hanging out with other people’s dogs. Catherine Knight joins us as a Develpment Associate. She earned her Bachelor of Science in Social Work from Mount Saint Mary’s University. She has nearly a decade of experience working in the nonprofit sector. Catherine’s development career began at the Los Angeles Metropolitan YMCA where she served various roles at both the Westside and Ketchum-Downtown branches. Her experience at the YMCA included annual support campaign leadership, capital campaign assistance, as well as program leadership and development. In addition, Catherine acted as a staff lead during annual fundraising events, and brand manager for the Ketchum- Downtown branch as well as overseeing communications and social media. She is an alumna of Immaculate Heart High School in Los Angeles and grew up participating in Irish Step Dancing and danced competitively at local, regional, national and world levels. 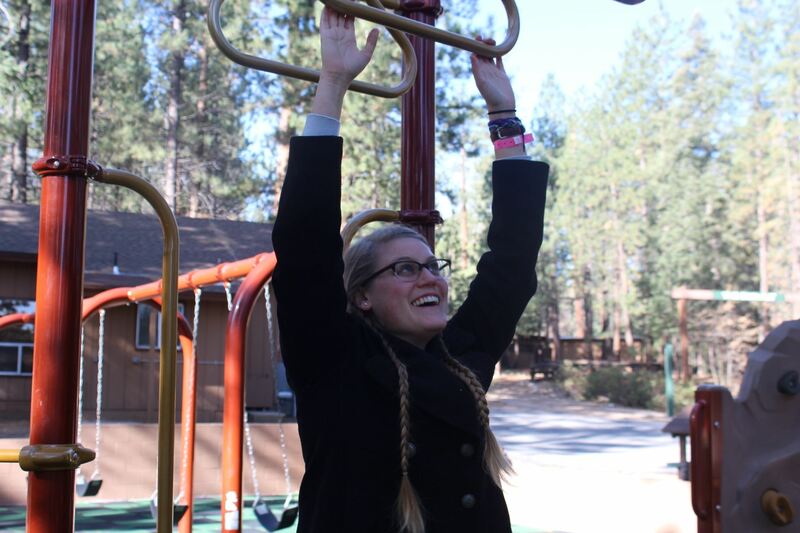 Catherine enjoys reading, karaoke, and running, and occasionally still dances. 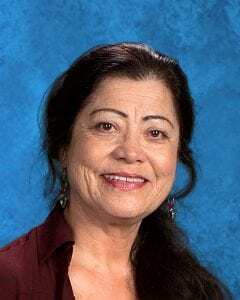 Yolanda Davila will be joining SMA as a Religion and Spanish teacher. She has worked as a Case Manager for Community Build Inc., an LA city-based program for gang prevention and youth development. 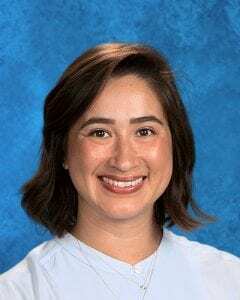 She has also worked as a high school instructor at Notre Dame Academy and is excited to get back to what she loves: teaching. When at home she enjoys spending time with her German Shepherd, Nikkita, who waits so patiently for her. 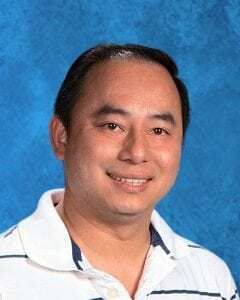 Cuong Pham is a new Math teacher at St. Mary’s Academy. Prior to this position he taught middle school math for six years at a charter school. Cuong graduated from Cal State Long Beach with a degree in Liberal Studies. When he isn’t working Cuong likes to golf or play any kind of sports. He was born in Vietnam and is the oldest of four siblings. 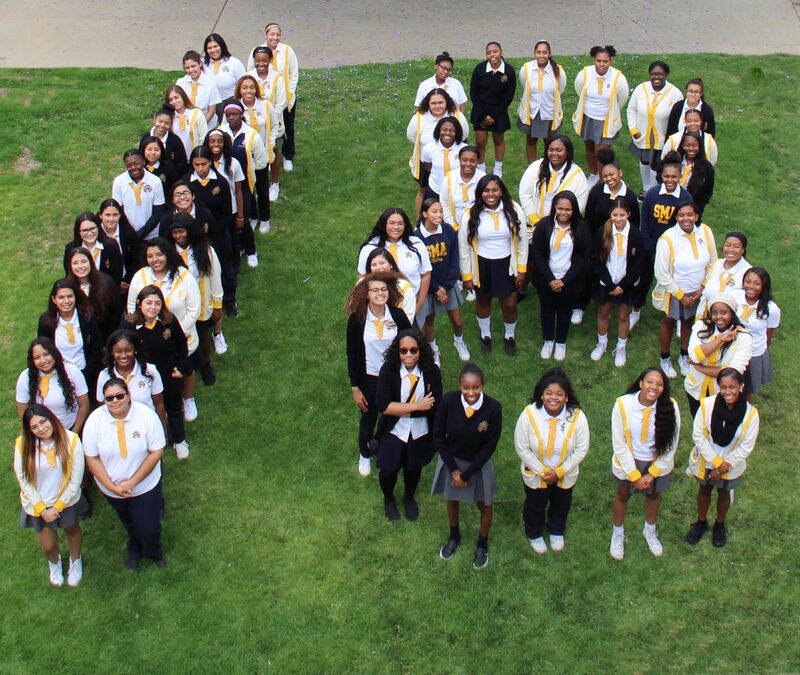 Welcome to another blessed school year at St. Mary’s Academy as we celebrate our 130th birthday, making us the longest, continuously run all-girls Catholic school in Los Angeles! We are kicking off to a strong start as all the summer projects are now complete! 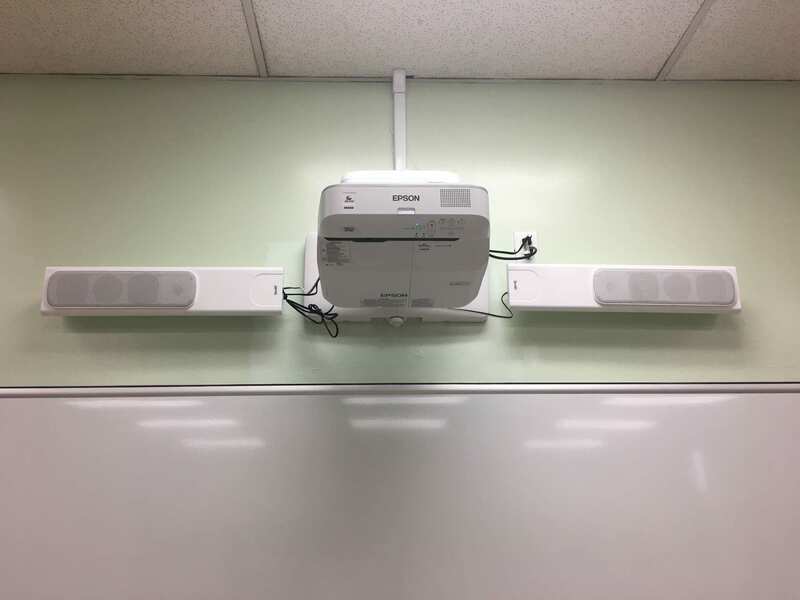 New projectors are installed in every classroom to enhance the learning experience for all our students. 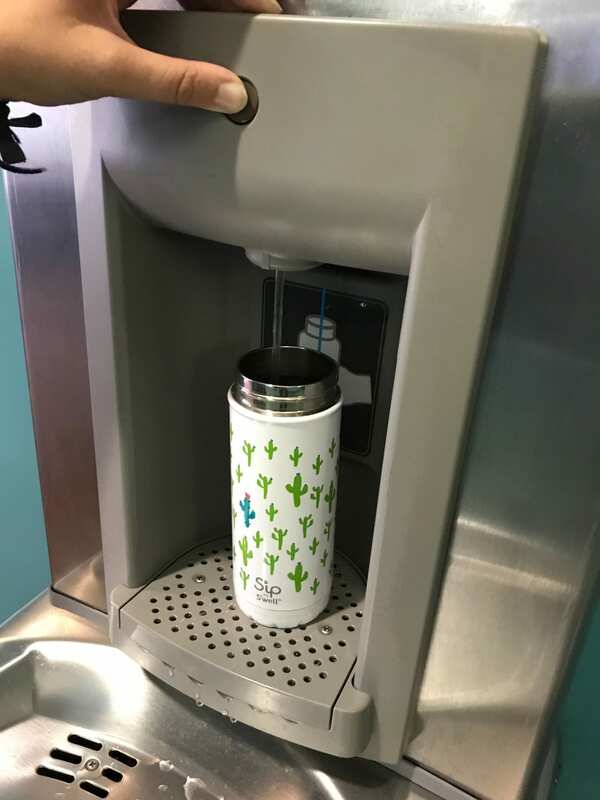 Water fountains now have a refillable feature to encourage students, faculty, and staff to fill their eco-friendly water bottles and stay hydrated. The newly finished gym floors and updated bleachers are ready for our SMA belles to dominate on the volleyball and basketball court. School banners are up hovering over our prominent track proudly showcasing Some of the best features of St. Mary’s Academy. The school doors are now open and ready to welcome the 270 beautiful and bright young women on campus! Senior red ties anxiously prepare for the college application season and junior blue ties are situating to the new challenges of upper division coursework. 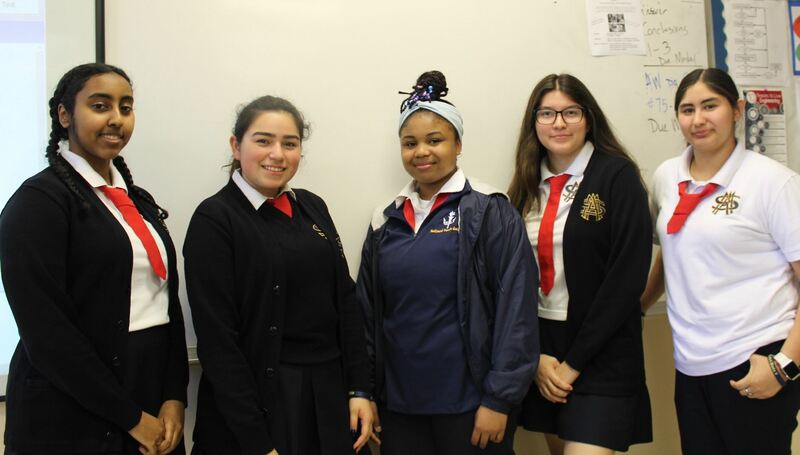 Sophomore green ties are now more accustomed to ‘the SMA way’ as they, along with the juniors and seniors, lovingly welcome the incoming future gold ties to the sisterhood community. At St. Mary’s Academy, we are committed to providing the best opportunities for our students to grow and become powerful influencers to make positive social change. It is up to us to build up a generation of women filled with courage, faith, and love to use their gifts to tend to the needs of the world. 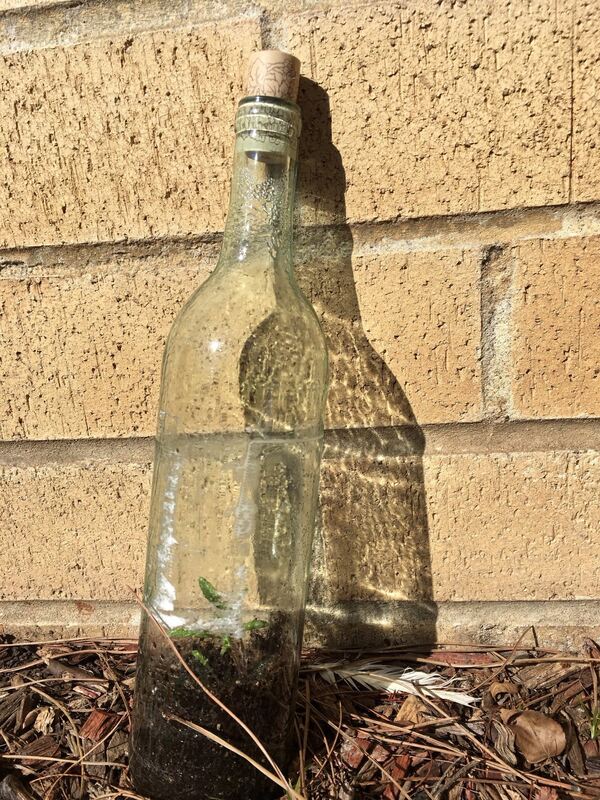 Great leaders are formed by inspiring educators who model what it means to be good stewards of the world. At the start of the school year, our faculty and staff practiced what it means to ‘serve the dear neighbor’ volunteering at St. Joseph Center and Alexandria house to help men, women, and children transition out of economically difficult situations all while learning about the rich history and traditions of the Sisters of St. Joseph of Carondelet. We plan to continue this momentum of service all throughout the schoolyear and into the future. God has blessed us with limitless possibilities for our students. This past summer, many of our belles stayed competitively engaged completing prestigious internships and summer programs scattered all around the country in various career fields. Additionally, we now offer two Project Lead the Way (PLTW) pathways in our Engineering and Health Careers program that focuses on real-world, applied learning experiences to help students develop in-demand, transportable skills such as problem solving, critical and creative thinking, collaboration, and communication. 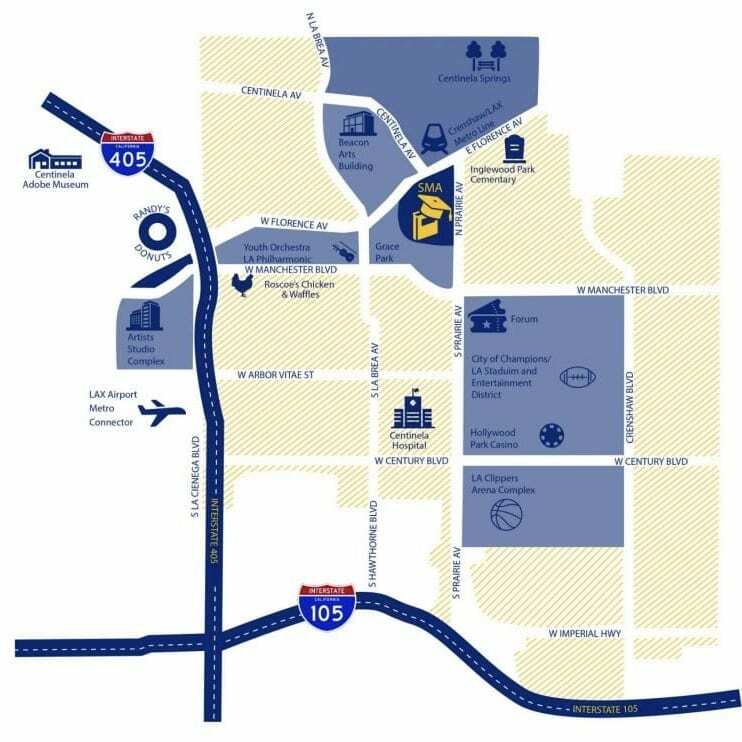 St. Mary’s Academy is also at the center of Inglewood that promises great opportunities for our students in the areas of sports, entertainment, business, the arts, and so much more! I could not think of a more exciting time to celebrate our momentous 130th birthday than now. Join me as we celebrate the past, present, and future successes of St. Mary’s Academy! Here’s a visual piece of what’s been happening at St. Mary’s Academy! 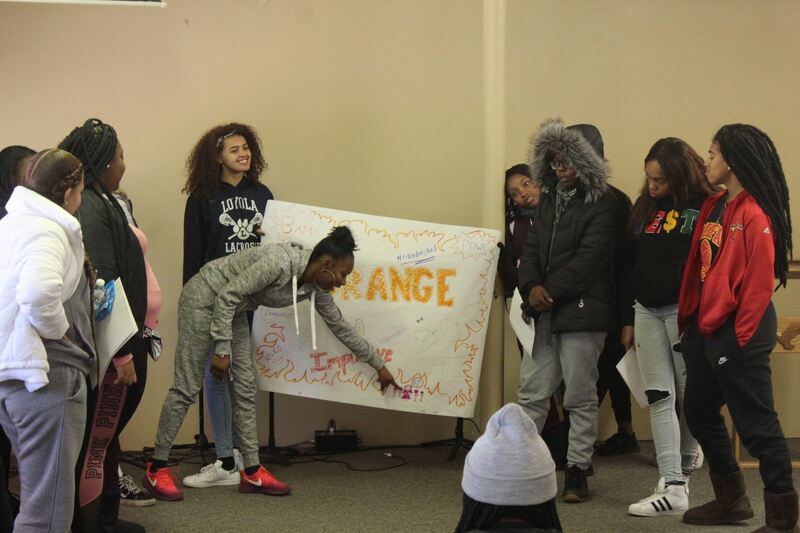 Thank you to all the students, faculty, and staff who helped plan, create, facilitate, and/or present in this video and to 2yuk productions for filming and editing this project. Please enjoy! As our Gold Ties of 2018 prepare for the next phase of their education, we want to congratulate them for all of their academic achievements, community involvements and athletic talents they shared with our SMA community. Below is a list of college acceptances and a slideshow of all of our graduating students and where they will be attending college next year. This summer six of our Belles will be attending engineering enrichment programs across the country! The scholarships total about $9,400 for all attending (this includes tuition, transportation, room & board, food, etc). Four students applied through the ACE Mentorship Program. 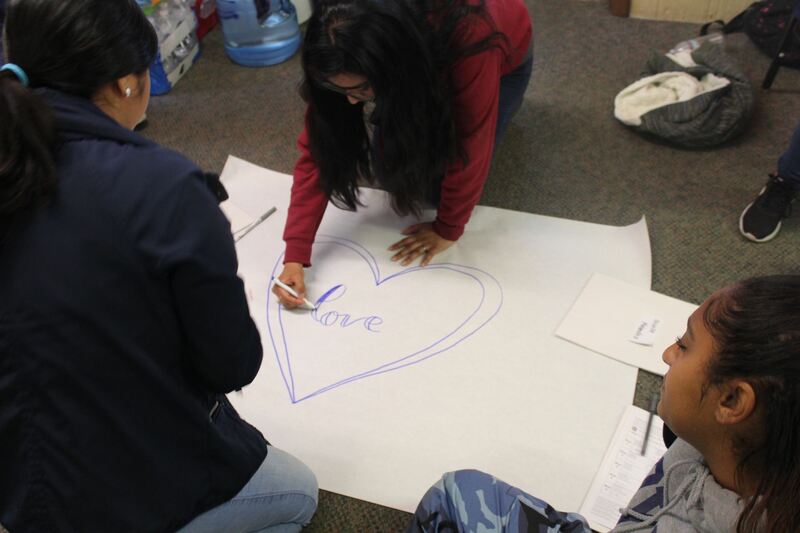 ACE partners with 20 schools throughout the Southern California region and mentors over 300 students. Having four of our Belles chosen from ACE is very impressive. 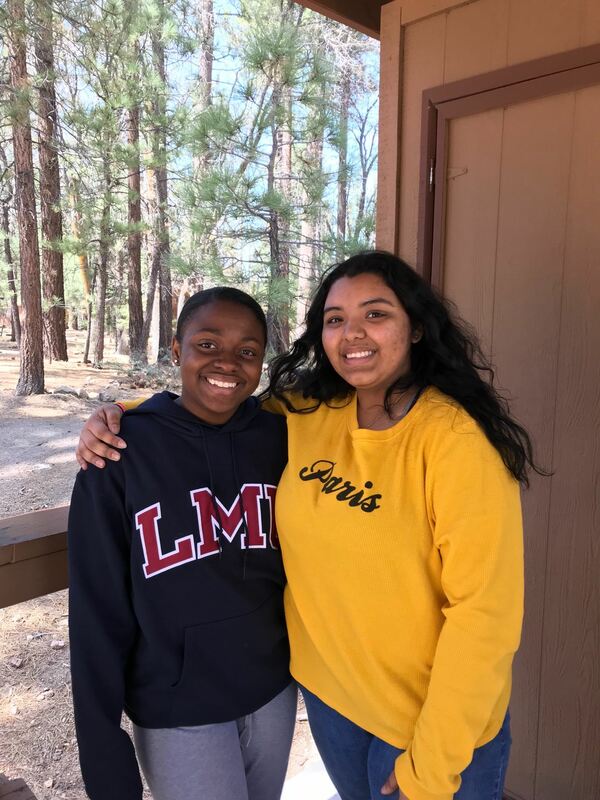 Two students that will be attending the EPIC (Engineering Possibilities in College) Summer program at San Luis Obispo were also given scholarships. 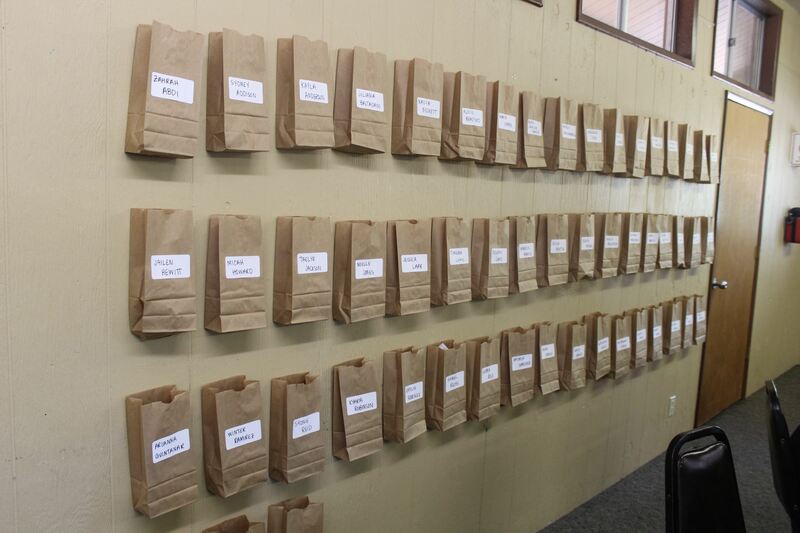 There were over 1,000 applicants to that summer program, so it was quite competitive. We’re so proud of our engineering students for putting themselves out there and using their summer vacation to further their education! 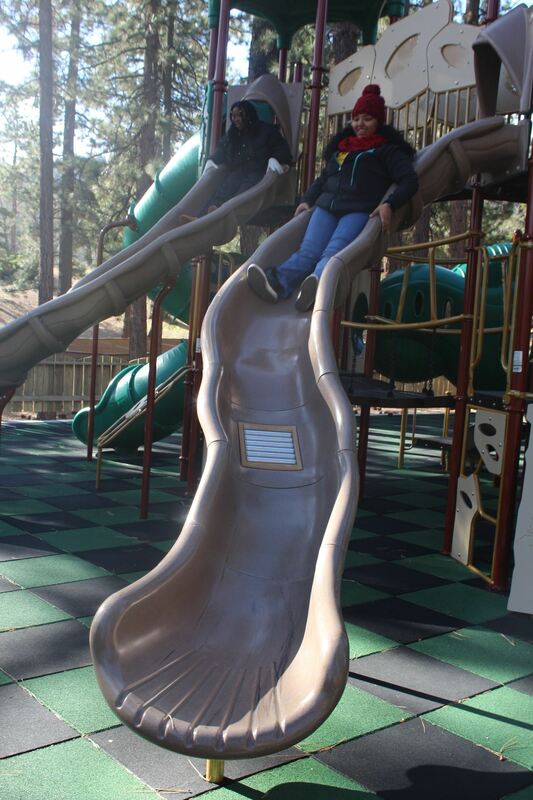 Rebecca and Oceanna will be attending CREATE Summer Academy in Sacramento. 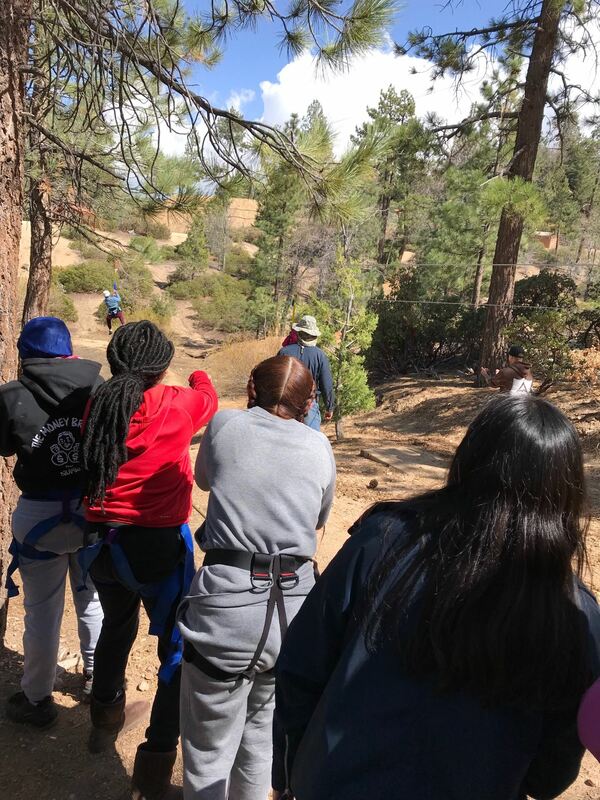 Students from across California will come together to experience a six-day, five-night camp that exposes them to careers in construction, re-development, engineering, architecture, and the trades. Students will design and build a project for a local nonprofit, complete a needs assessment, meet industry executives, tour active job sites, explore Sacramento, and stay on a university campus. Thank you to ACE for providing the scholarships for these two students, including transportation. Heaven will be attending Design Immersion Days at SCI-Arc this summer. 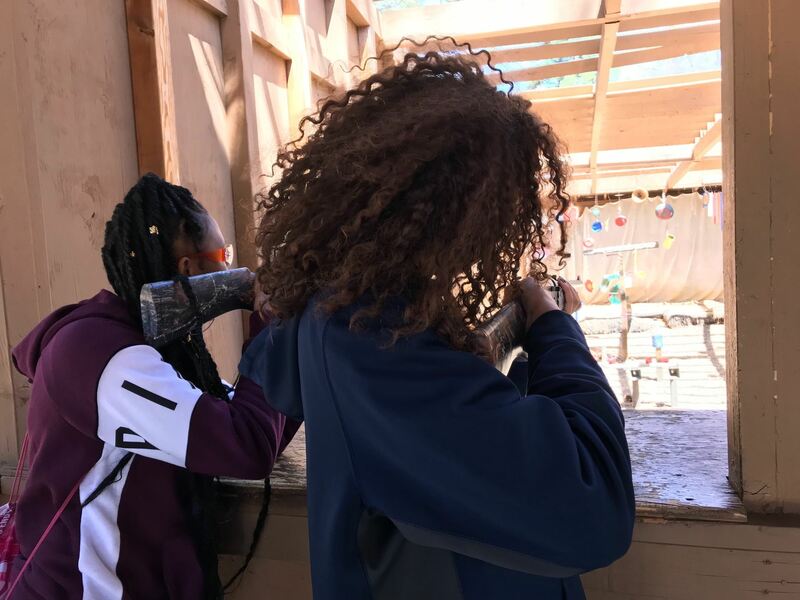 DID is an immersive four-week summer program that introduces high school students of varying backgrounds to the academic and professional world of design and architecture. Participants are offered the opportunity to explore careers in architecture and design or simply satisfy deep curiosities about how products, buildings, and environments are designed and made. The culmination of the DID program is a one-day comprehensive portfolio workshop, which is designed to introduce beginning design students to the concepts, techniques, and strategies necessary to complete a successful design portfolio. Thank you to both ACE and SCI-Arc for providing scholarships for this program. Meron will be attending CU Denver CAP ACE summer camp. 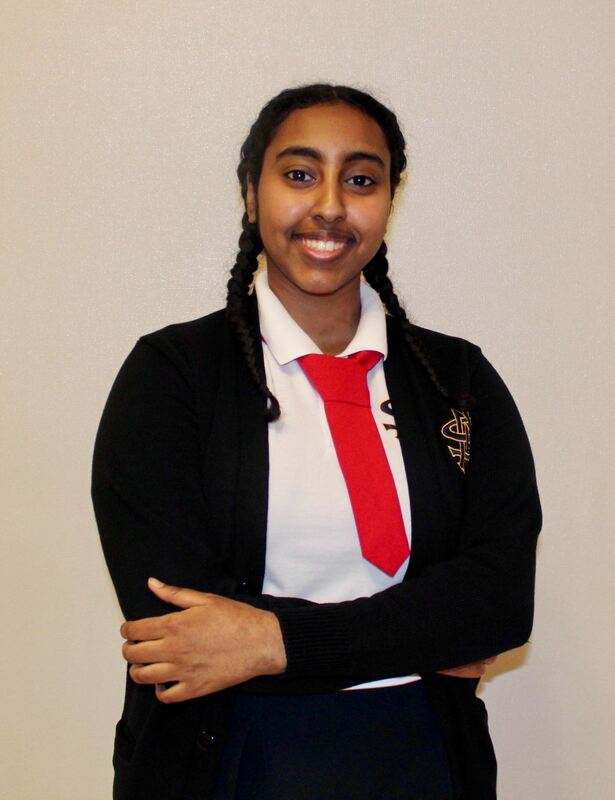 She’ll be joining the College of Architecture and Planning for a week-long residential summer camp at the University of Colorado Denver. Faculty from CU Denver’s architecture program will lead an investigation in design, digital fabrication, and sustainability. 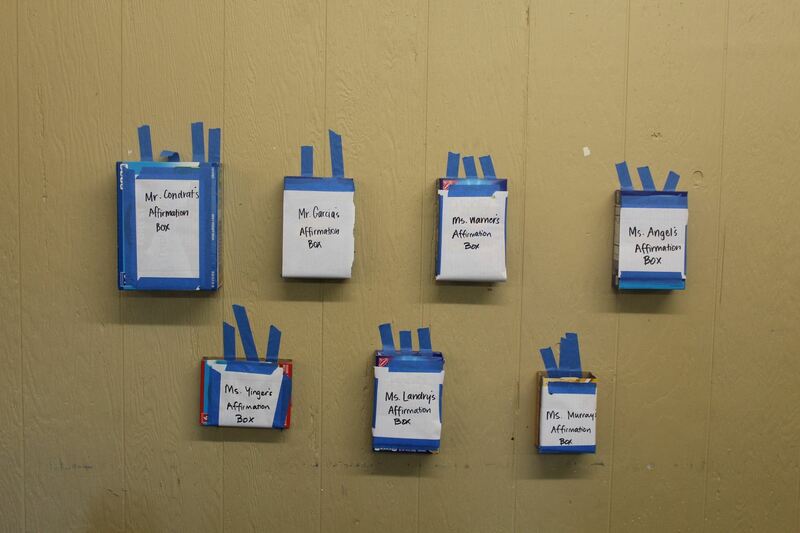 Students will build from their own design and get to know other students from ACE Mentor programs in the West. Campers will stay at Campus Village, CU Denver student housing. They will use the Design Fabrication Lab and studio spaces at the College of Architecture and Planning. 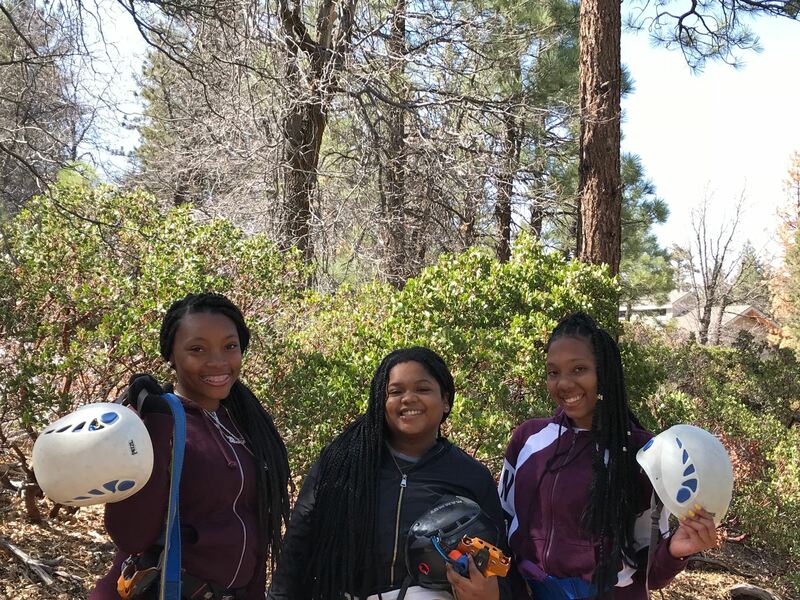 Undergraduate Admissions will host a presentation about applying to CU Denver, so students leave camp with an understanding of what it takes to become a CU Denver student. Thanks to ACE for providing a scholarship for tuition and transportation. Ashley and Kimberly will be attending EPIC summer program at Cal Poly San Luis Obispo. EPIC– Engineering Possibilities in College – is a one-week summer camp that introduces campers to the varied fields of engineering through hands-on labs taught by university professors and industry professionals. EPIC campers see “Learn by Doing” in action as they participate in labs where they design, build, and test their own projects! Campers build rockets, create Android phone apps, develop a solar car, and learn about computer security. EPIC shares the College of Engineering’s mission to “educate students for careers of service, leadership, and distinction in engineering or other fields by using a Learn by Doing, hands-on approach.” Thank you to EPIC for providing scholarships for these students. We’re so proud of ALL of these Belles and can’t wait to hear about their experiences this summer when we return. Thank you again to ACE for providing such great mentorship and fantastic opportunities for our students. Here’s the presentation from the ACE Student Presentation Day and Scholarship Award Ceremony on May 12, 2018. 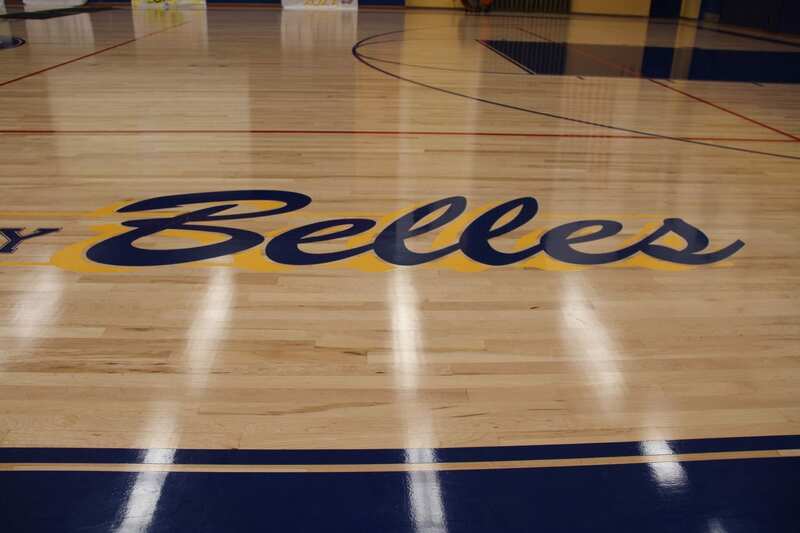 Our Belles presented a new SMA campus! 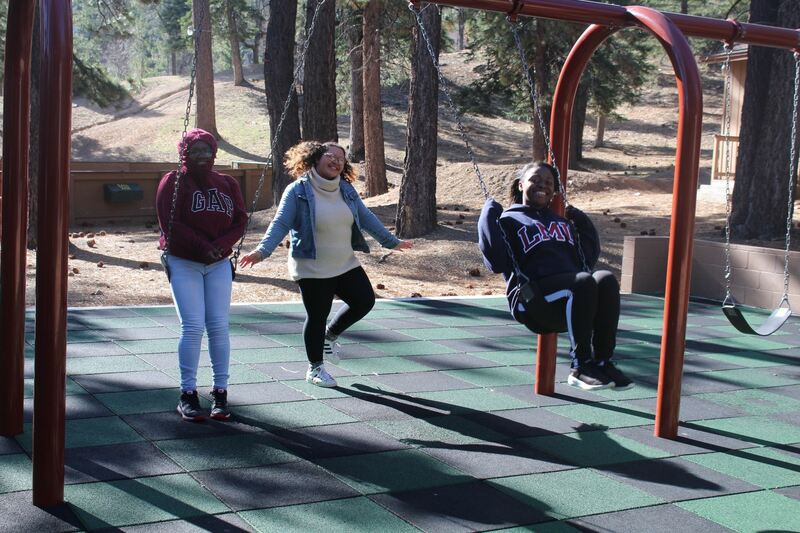 Recently, our Gold Ties ‘18 visited Pine Summit in Big Bear for their 3-day Senior Retreat! Those jam-packed few days allowed time for reflection, sharing, celebration, fun, and bonding. 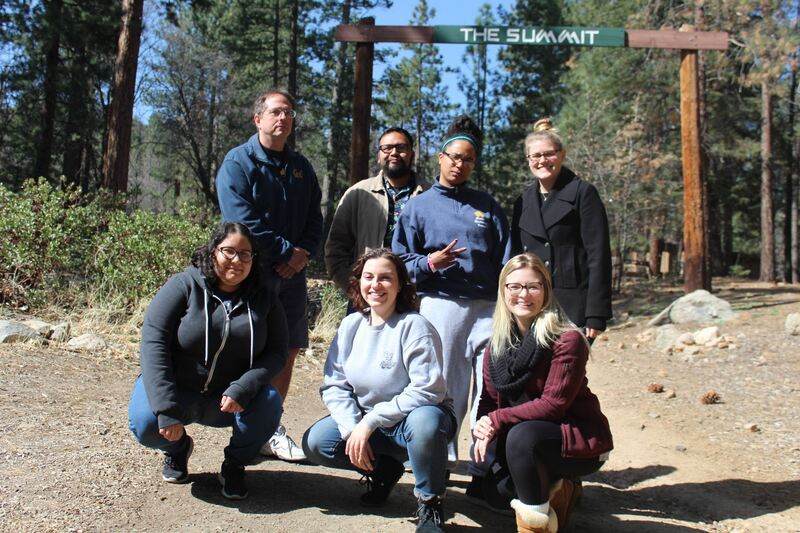 The retreat, led by Campus Minister and Religion teacher Ms. Warner, included talks by each attending faculty member, small group discussion, group work, and some free time to enjoy the facilities’ various activities outdoors. 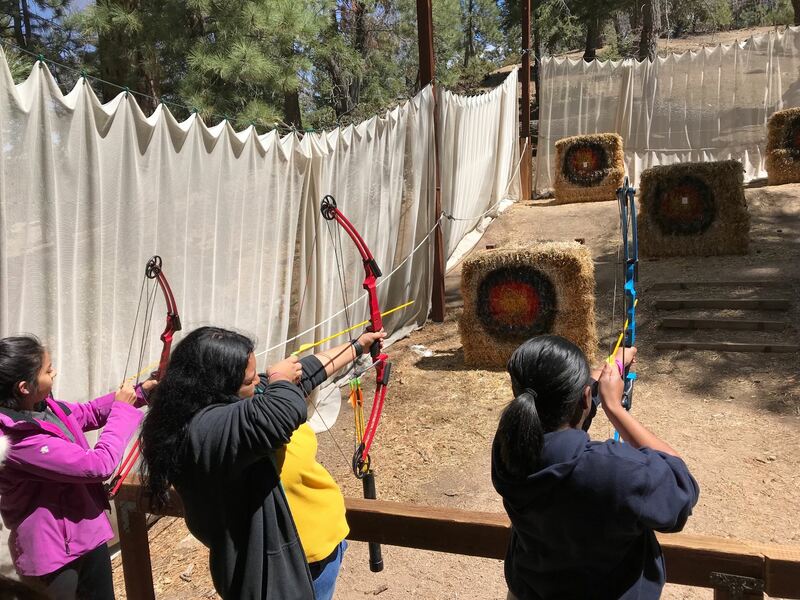 Gold Ties got the chance to try ziplining, paintballing, shooting, and archery! 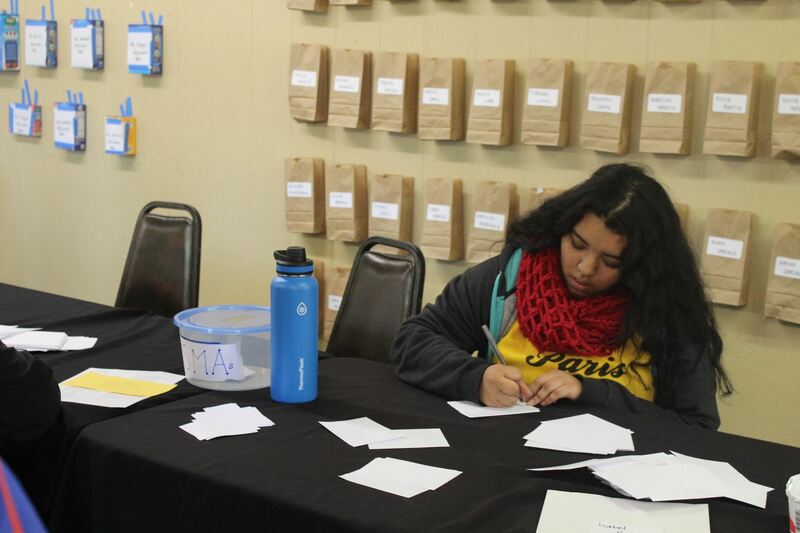 Throughout the three days, students could write affirmations for their classmates, as well as for the faculty members on retreat, and place them in the affirmation boxes in the meeting lodge. One group activity required students to evaluate their personality, then grouped them together by color/personality type. Each color group worked together to create posters representing themselves, then presented it to the larger group. 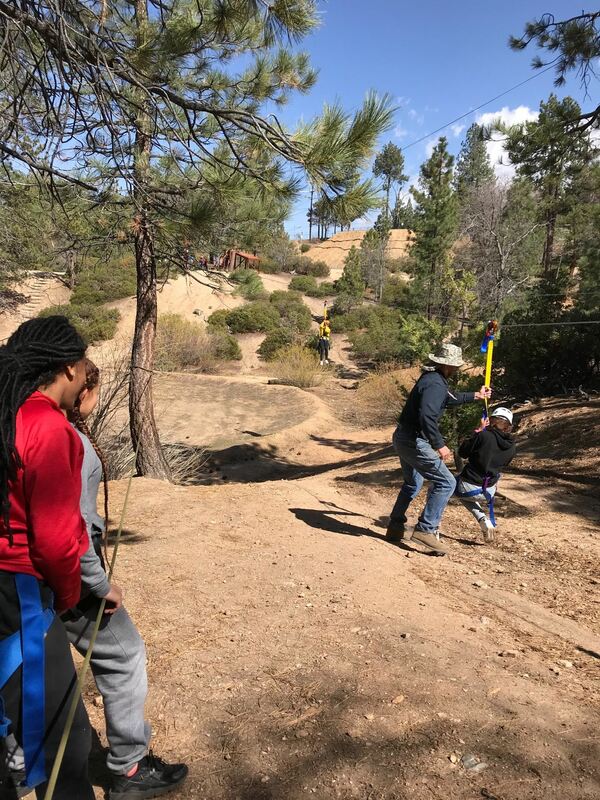 This retreat was only the first of many exciting upcoming senior events, as the Gold Ties make their way towards graduation in June! 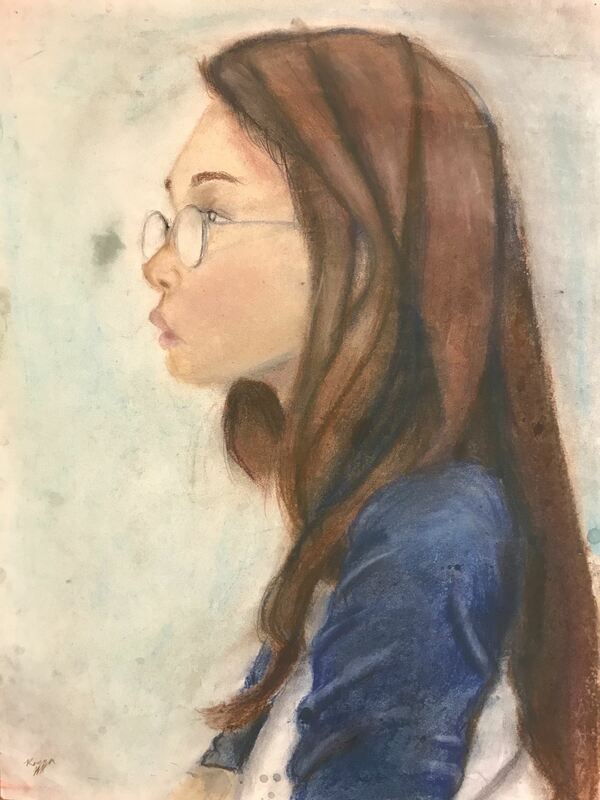 Below are all of the artworks and winners from the 2018 SMA Art Show. 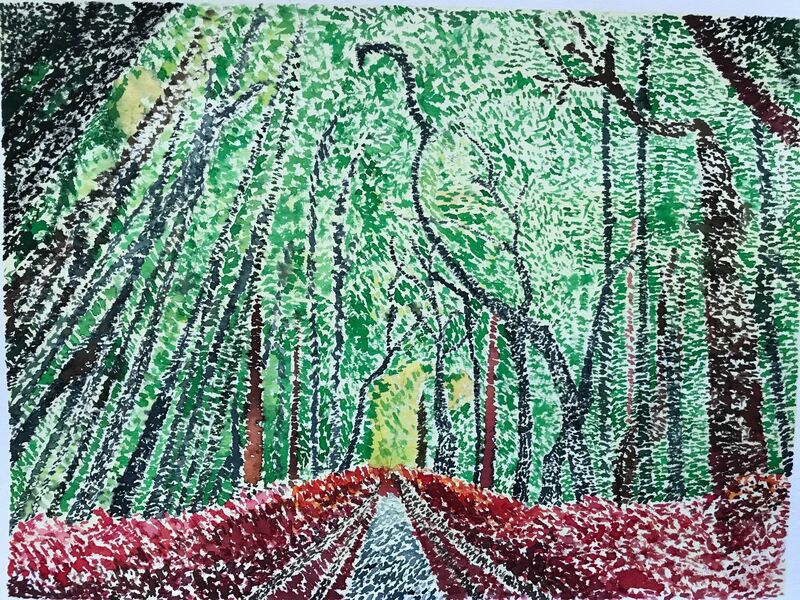 We have so much talent among our Belles. Enjoy! 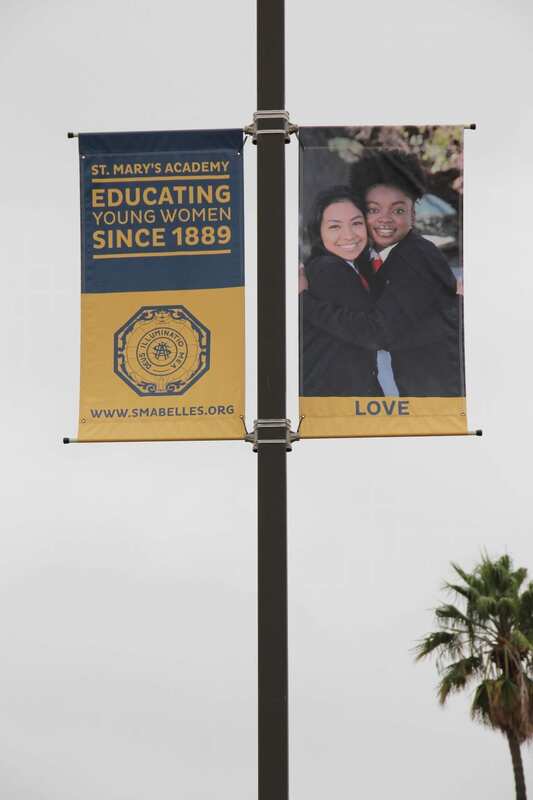 St. Mary’s Academy, a Catholic, private, college preparatory high school for young women, founded by the Sister of St. Joseph of Carondelet, shapes women of distinction who are committed to lifelong learning and service to the “dear neighbor”.